If you still are not sure about what to eat at Yankee Stadium, I have two tips here for you…at both ends of the economic spectrum. Both are worth a look in your next trip to the Stadium. I assure you, it’s fresh before it’s frozen. 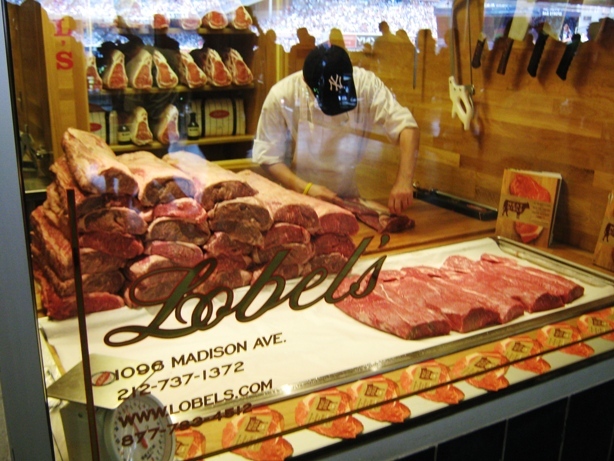 What To Eat At Yankee Stadium, Tip #1: The Lobel’s Steak Sandwich. OK, you’re probably going to want to partake in something that is offered at the Stadium, even though the cost of it will make you grumble. There are cheesesteaks, garlic fries, noodle bowls, and popular names like Nathan’s, Johnny Rockets and a Hard Rock Café. So if you don’t mind shelling out a few extra bucks for a quality sandwich, take a walk down the left field line on the field level concourse, and find the Lobel’s stand. The Lobel’s steak sandwich isn’t a steak sandwich in the Philly sense, meaning chopped to bits and mixed with onions (you can get one of these at Jersey Mike’s, and they’re just fine). It is closer to a roast beef sandwich, with the meat soaked in au jus and served on an onion Kaiser roll with an insanely good horseradish sauce. Watching them put all of this together made me forget that I was supposed to take a picture of the sandwich—it was gone pretty fast! What To Eat At Yankee Stadium, Tip #2: The Court Deli. The Court Deli isn’t actually in Yankee Stadium, although I kind of think it could be. The Court is on the corner of 161st St. and Walton Avenue, near the Bronx County Clerk (hence the clever name). There are a few places near Yankee Stadium to fill a goody bag to sneak into the ballpark; in the area east of the ballpark are a McDonald’s, Burger King and Subway. 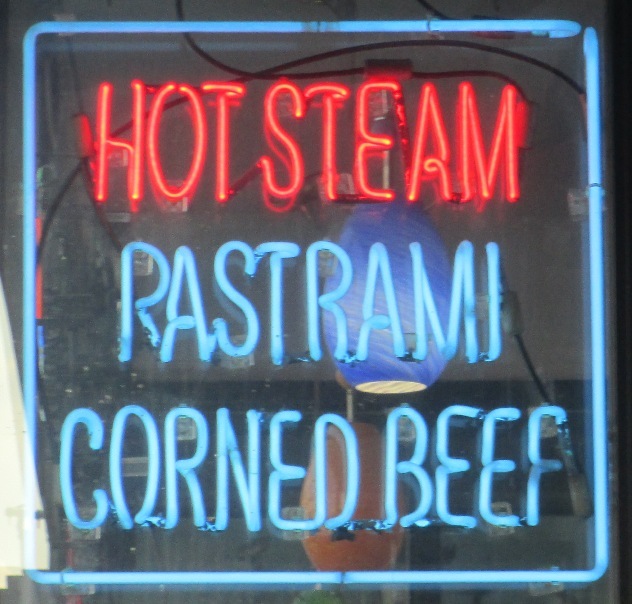 But this is New York City, an area of the world that you can’t spend time in without trying a pastrami sandwich or a knish. You can get a Big Mac anywhere. The Court Deli was recommended to me by my friend Gary Herman, who has forgotten more about saving money at sporting events than I will ever know. That’s one thing you get at the Court Deli…value. You get a decent sized sandwich at a price competitive with any of the fast food joints and their dollar menus. Walk in and order your food to go; they’ll prepare it pretty quickly. But there’s nothing wrong with the food either; my breakfast sandwich and knish were tasty, and Gary tells me that you can’t go wrong with a pastrami sandwich at the Court. The Court Deli does get a bit crowded on game days; if you can’t get there early you’ll be waiting in line, and you probably won’t have a place to sit and eat in the small restaurant. But the line moves fairly quickly, and it’s worth the wait. Be adventurous, don’t go for the easy Whopper. Want to know more about Yankee Stadium? Sign up here for my completely free Yankee Stadium e-mail newsletter series, and score some seriously valuable info about tickets, seating, transportation and food…see you at the Yard! Enjoying the cool Yankee Stadium tips? 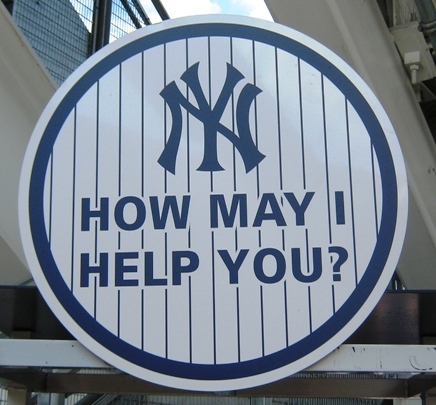 Sign up today for the absolutely free Ballpark E-Guides Yankee Stadium newsletter!